“The Pacifica Foundation (now known as Pacifica Foundation Radio) was born in the late 1940’s out of the (now nearly forgotten) peace movement surrounding World War Two. 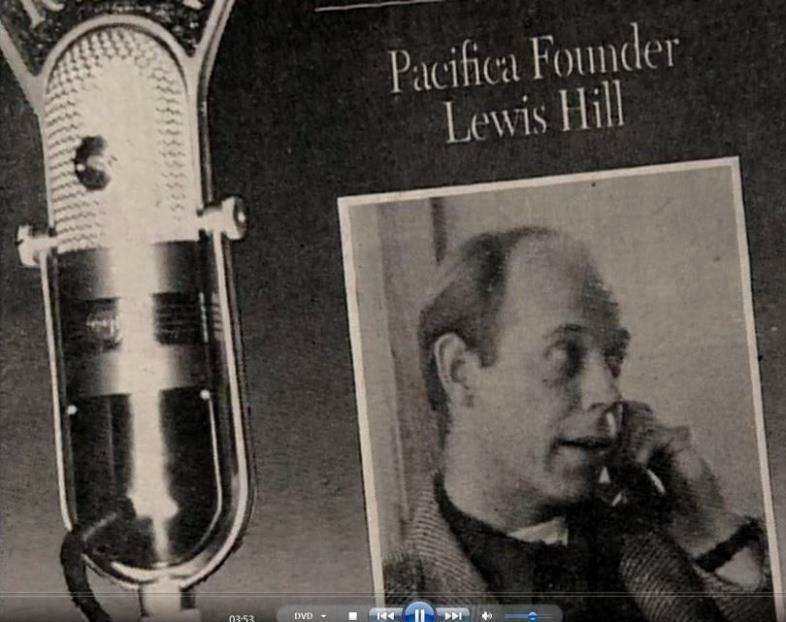 Lewis Hill, a conscientious objector and Washington, D.C. newsman, was fired from his mainstream reporting job when he refused to misrepresent the facts. This was a time when the idea of a listener-sponsored radio station was a new one which had never been implemented. Many people doubted the viability of a broadcast model which didn’t rely on some kind of corporate or government funding. But the idea was too compelling for Hill and others who agreed with him. 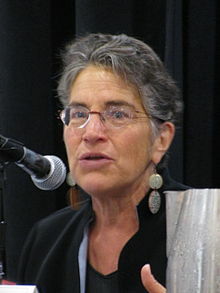 Pacifica was born and in 1949 KPFA went on the air from Berkeley, California. 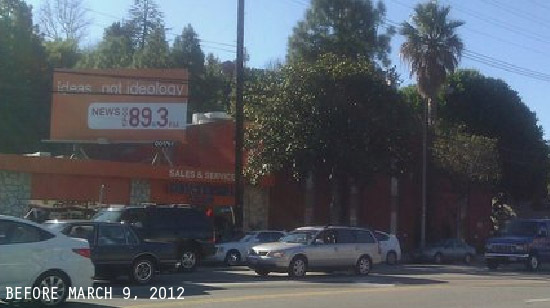 KPFK, in Los Angeles, was the second of what would eventually become five Pacifica Stations to go on the air. It was 1959 and Terry Drinkwater was the first General Manager. Blessed with an enormous transmitter in a prime location, KPFK is the most powerful of the Pacifica stations and indeed is the most powerful public radio station in the Western United States. . . .
He’s not Adams and he’s not Roebuck. 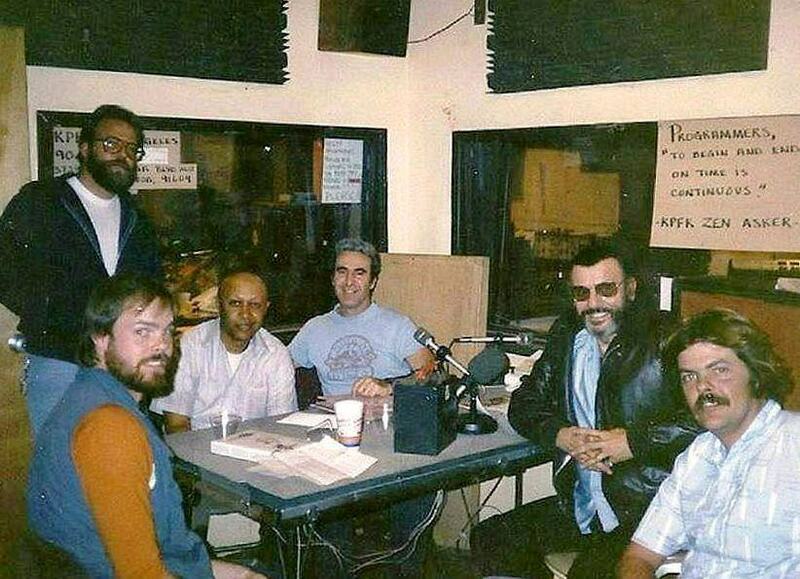 In March 1972 one young guy (Joe Adams) headed in to KPFK in Los Angeles after wrapping up his swing shift warehouse shipping clerk job, to help answer phones for their on-air fundraiser. When he walked into the phone room there were a bunch of people answering phones and another almost-as-young guy (Gregg Roebuck) was already there and answering phones. It was Monday night. The on air-talent named Rick Bralver, one of the DJs in the after-midnight slot dubbed “NightAngels,” ran into the phone room to ask if anyone wanted to come up to the control room and go live on the air with him. The two guys did. It wasn’t anything spectacular. They chatted, passed a joint, and cracked wise. Like y’do. The two realized they were both fans of Bob & Ray, Firesign Theater (who had started on KPFK), Lenny Bruce (who had not), and other contemporary subversive comedians of the day. The next night, another member of the NightAngels did the same thing – Bruce Gossard. And the same two were joined by two more phone answerers. Phil Tuttle, a guy going for his First Class FCC license and a career in broadcasting and a young drama student named David Arias. They chatted and cracked wise. A good time was had by all. The next night they were not asked to join the NightAngels on the air (Captain Midnight, Steve Tyler), but the next night the following NightAngel, Tom Sanford, did. And the Next night “Jason B. Good” asked them to join again and invited them to be part of the regular Saturday night NightAngels shift dubbed The Heavenly Miracle Air Experiment. They did and the four dubbed themselves “The Sunday Gummies,” because Saturday midnight was actually Sunday Morning, and one irate listener was annoyed with all the cracking wise had called in to growl, “You gonna’ play music or gum all night?” To which Gregg Roebuck snarled, “We’re gonna Gum, how you like that?” And the Gummies were born. Phill Tuttle left to run a station in Kingman Arizona, and a friend of David’s, Cheryl Branson, joined them on the air, and another woman, Cheryl Jacobs, joined them. It only lasted about a year, but we had fun. The Gummies wen their separate ays, but Joe and Gregg stayed to become the Mondy Gummies (after N’Wana Davis’ Music Black and White after midnight show), and stayed in the after Captain Midnight slot on other nights, first as the Sunday Gummies but eventually as Adams & Roebuck. Things changed and David Arias is now David Arias-Rios who has been the morning man on KOMO in San Antonio, and I am retired and living in Raleigh, NC. Barbara is still around, but I have no idea where Phil or Cheryl are. It’s been a few years, but with the Gummies Gregg and I began a long trek as friends and performers on radio, as stand-up comedians at the Troubador and the Pasadena Ice House open mike nights. We discovered I hated being seen on stage, and Gregg loved it. I went to out of sight positions s writer and director for radio theater and stage in Hollywood, and Gregg as a performer on radio drama, stage, commercials, and television (“Charlie” in the last season of GRACE UNDER FIRE). We shared a couple of houses together. With David L. Krebs we did shows together as teachers for the American Radio Theater and short-lived NewRadio commercial radio drama Project. We did stage together and even quit drinking and drugs together. Some people suggested we were lovers, but we were never sexual with each other. He was my brother, and a bit more. And I am finally to follow through with something he wanted to do before he died. We talked about using the internet to do a new incarnation of the old Adams and Roebuck show. And he died and I couldn’t even listen to the old shows that had survived. I’m thinking – Podcast with the old comedy we used to play, little excerpts from the old shows, sides of comedy music and bits, just like we did before. But Gregg isn’t there. From 30+ years of collaboration and knowing each other, I don’t think he’s floating around – looking down and smiling. But I think it can honor him, and honor is something the living do in name and remembrance of those who have based beyond. It will take a while to get the show up on its legs, but it begins with a concept and a name. 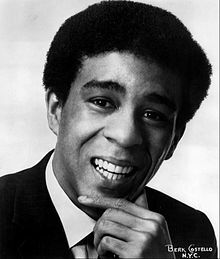 And a desire to honor my gone brother and funny, funny man. Gregg Allyn Roebuck, you are missed. 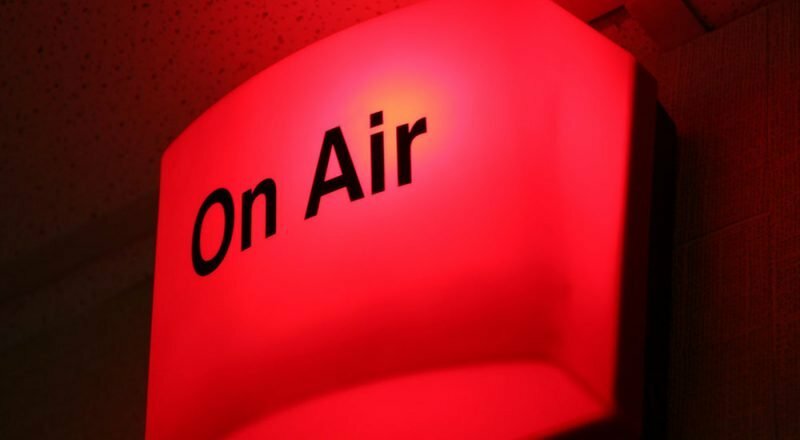 Do you have a radio production worthy of national broadcast? Feature it on Sprouts: Radio from the Grassroots! Participating producers are provided with Sprouts Production Instructions, including the introduction and closing script and music, as well as assistance, if needed. A variety of topics and styles are acceptable, from mini-documentaries, to cultural themes, to breaking issues of national importance. Radio producers are encouraged to send us local stories that have national relevance and are presented in a way that a national audience can appreciate. Sprouts is distributed by Pacifica Radio and is free of charge to all radio stations. It is aired regularly by 40-50 radio station in the United States, Canada, and Europe. The program is also aired by many other stations on an irregular basis, depending upon the topic. Contributing a production to Sprouts is an excellent way to bring a worthwhile production piece to a wider audience and to let people know about great production and reporting in grassroots radio. It is an excellent way to get an important story or issue to a wide audience. Episodes of Sprouts can be heard below, through the SoundCloud audio widget. This must have been written when KPFA’s building was new, maybe 1994? 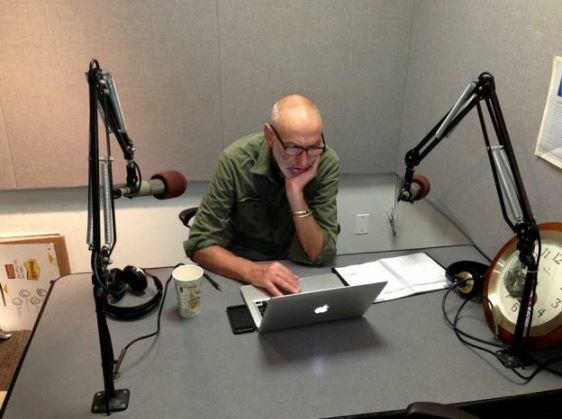 For at least 20 years, KPFK has been airing a more or less weekly radio show devoted to talking about the news media in Los Angeles and beyond. For most if not all of that time, Barbara Osborn has been the host. Since she has become director of communications for Supervisor Sheila Kuehl, the show has been more in the hands of Howard Blume and Gail Holland, both of them staff writers at the Los Angeles Times. I have been on several times, and the show has tackled issues on the LA media scene from many directions through the years. On July 11 the Pacifica station at 90.7 FM will be dropping several shows and adding more Spanish-language programming. The note from KPFK general manager Leslie Radford makes it sound as if the shows could have gone on if the program manager had presented the boss with some options, and there is also the possibility of a future podcast. As of July 11, Indy Media on Air, Deadline L.A., Treasures of the West, Poets’ Cafe, and Theatreworks will no longer be broadcast on KPFK 90.7FM. In an effort to diversify our programming further, we are complying with the Pacifica National Board mandate to increase our Spanish-language programming by five hours. We will be doing that between 8:00 p.m. and 9:00 p.m. Monday-Friday. On June 15, I requested the Interim Program Director give me options to re-arrange the existing programming to accommodate this change. He hasn’t presented me with those options, so I’m left with simply cutting the programming in this timeslot. I understand this is harsh, but please understand that it isn’t intended to be disrespectful of your contributions to KPFK, nor is it a judgment on the quality of your show. I am very grateful for all you’ve done for KPFK. It is simply that I have no options except to make this cut across the strip. If you would like your show to continue as a podcast, please talk to Interim Program Director Alan Minsky. Just ahead of a speaking engagement in Kansas City, David Barsamian will be on the phone on a pledge drive edition of Tell Somebody on October 9, 2014, 9:15 – 10:00 am Central Time on 90.1 FM KKFI, streaming at www.kkfi.org. Grassroots Radio Conference added a new photo. I think I was 10th for 6 seats. Joseph K. Adams When I was there, we had a village. We shared meals, some lived with each other, some brought food to the station (some Johnnie Otis buffets were intense), did picnic jaunts to the old zoo at Griffith park, met in the conference room to talk about programming, episodes of upcoming shows… even when you didn’t agree with someone, there was respect and communication. Re: Johnny Otis- “I think he was earlier than that [’78]. My first time in the new building was March, 6th or 7th of 1972. I had been at the old building before that, but Johnnie and his clan were there when I arrived. I know because they always brought LOTS of food down to the studio, and Shuggie was only about 14. But I have to say I don’t really know his tenure… Wikipedia says he was on KPFK in the 1980s, but I stopped being a programmer at K by 1978, and Johnny (that’s how Wikipedia spells it, but I thought it was spelled the other way – for many years) had been on for years by the time I was leaving. I think the only connection I had …was a couple of guest spots I did for Roy – the last being about 2 weeks before the 1989 quake in San Francisco. ’78 sounds about right… I came back from Phoenix after a failed relocation to find Chapel Perilous on the air….I was really very happy to find that when I came home with my tail between my legs, my work was being appreciated. I haven’t tuned in for him for a while – is Something’s Happening still a going concern? Don’t be too surprised at the events at K – when people show up, form a community and create something of value, cons and scavengers try to get what they want from it, even if it means the thing they are raiding dies. On the other hand, it becomes a Golden Age we got to experience. People don’t believe me when I talk about my regular interactions with Harlan Ellison, Ray Bradbury, John Hartford, Roz and Howards parade of musical guests, Hour 25’s parade of writers, newsmakers of ‘the day’ and the things that were just going on… they think I’m delusional. But not about THAT. 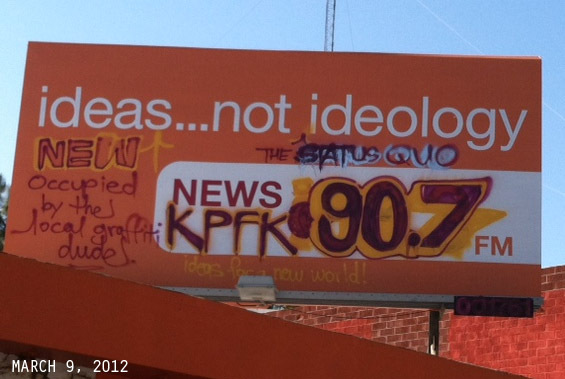 I knew KPFK when it wasn’t painful. Johnny Otis, Bill Gardner, Bernie Pearl, etc. Author of CLIMBING THE SPIRAL MOUNTAIN, SONG OF ORPHANS, NIALL’S DREAM, THE MAMA LAW, FEVER, ASSASSINS, and LIVING IN THE HOUSE OF ANGELS. Available in paperback from Amazon, in ePub from Kindle, iBookstore, Nook and Kobo. 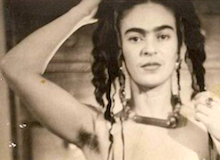 Lila has a storied history as a writer not just at KPFK but in media in Hollywood. Alan Minsky is KPFK’s long-time interim Program Director. “Before there was NPR, there was Pacifica. Its founder was Lewis Hill, a pacifist and conscientious objector in World War II (during which he was assigned to a work camp “moving rocks from one side of the road to the other,” as he later put it), along with his friends Eleanor McKinney and Richard Moore, a married couple. Their first application for an AM-band radio license in working-class Richmond was rejected by the FCC. And so it was that the first station, KPFA, was launched as an FM station in 1949 in the university town of Berkeley. FM was so new that KPFA had to give subscribers FM radios in order to be heard at all. Although Hill’s goal was to promote pacifism and civil liberties, the concept was to give both sides time — and foster robust debate. Emerging conservative leaders such as National Review founder William F. Buckley Jr. and then–young Republican Caspar Weinberger were heard often. That changed when the McCarthy era set in, and Pacifica’s board of directors was dragged in front of a U.S. Senate subcommittee on subversive activities. “They barely survived it, but once they did, their public justification was no longer ‘free speech for everyone,’ it was ‘the place where you hear the point of view you wouldn’t otherwise hear,’ ” Lasar says. Pacifica flourished: KPFK launched in L.A. in 1959 (its 110,000-watt transmitter, perched atop Mount Wilson, is the most powerful antenna west of the Mississippi River; it can be heard to the Mexican border), followed by WBAI in New York in 1960, KPFT in Houston in 1970, and WPFW (devoted mostly to jazz) in Washington, D.C. in 1977. 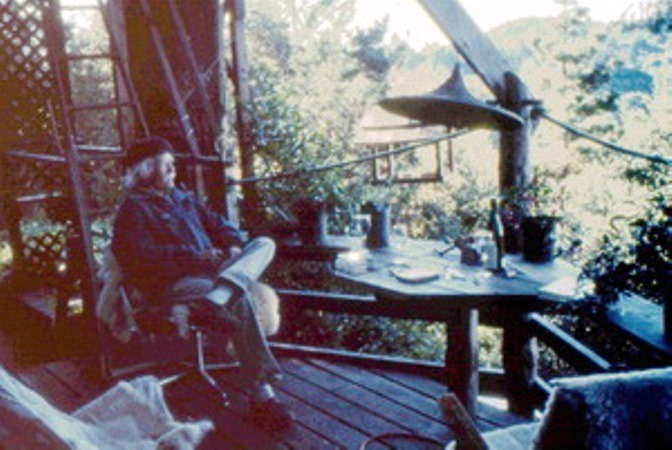 Film critic Pauline Kael got her start at Pacifica, and philosopher Alan Watts had a show for two decades. Bob Dylan appeared frequently on WBAI, which became hugely influential. “Much of what you hear on talk radio today, certainly Howard Stern, stems from the experiments and from the pioneering of WBAI,” Lasar says. Pacifica pushed boundaries: In 1957 it broadcast a recording of Allan Ginsburg’s profane Beat Generation poem “Howl,” albeit in an awkwardly edited version. In 1973, WBAI broadcast George Carlin’s “Seven Dirty Words” routine and was censured by the FCC. The dispute was resolved by the U.S. Supreme Court, which ruled that Carlin’s sketch was indecent — but not obscene. 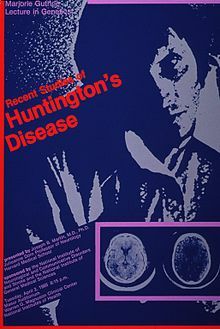 A year later, the Symbionese Liberation Army delivered tape recordings of the kidnapped Patty Hearst to KPFA and KPFK. 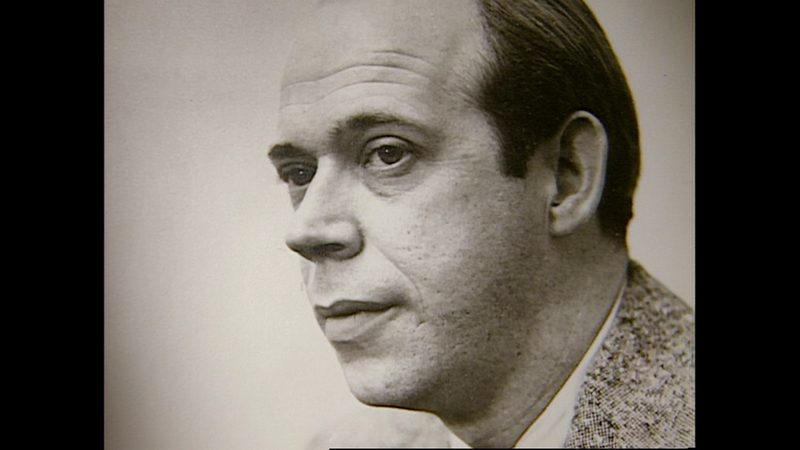 The FBI demanded that KPFK turn over the tapes, but general manager Will Lewis refused and was thrown in jail. No other event shaped and galvanized Pacifica in the 1960s more than the Vietnam War. It opposed the war long before Walter Cronkite or any other mainstream media outlet. WBAI’s Chris Koch became the first American to cover the war from Hanoi in 1965, and the station later broadcast the Senate’s Watergate hearings gavel to gavel. Pacifica’s decline in the late 1970s can be attributed to the end of the Vietnam war and the rise of NPR. 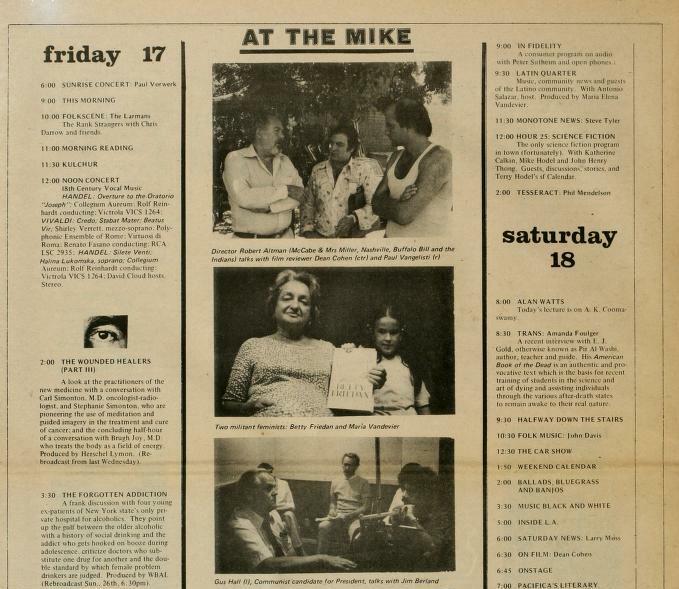 Volunteer hosts with half-hour or hourlong weekly shows viewed them as their personal property. According to legend, one elderly activist tried to will away his time slot when he died. But most paid news staff, like Cooper, as well as upper management, wanted to professionalize Pacifica and unite in one network. Satellites were becoming affordable enough for Pacifica to produce a network show and beam it to its stations and affiliates, as NPR was doing with All Things Considered. Pacifica launched Pacifica National News, a national, half-hour newscast, and despite resistance from some stations, especially Berkeley, modernizers pushed ahead in 1996, launching Democracy Now!, an hourlong, guest-oriented show. First designed with a preposterously unwieldy structure, co-hosted by four anchors in four cities, it eventually was consolidated to its two current hosts: Juan González, a New York Daily News columnist, and WBAI’s talented news director, Amy Goodman. The revolution began innocently enough. In the 1980s, tension grew between the modernizers and the local programmers, some of whom had been pushed out for new shows. Others feared they’d be next. It was NIMBY-ism, but with microphones. 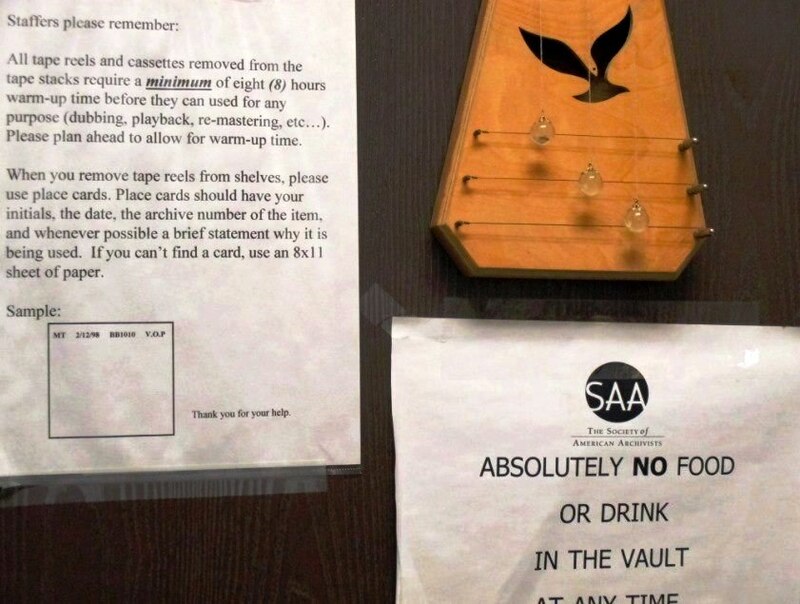 On the air, programmers openly revolted against Chadwick’s maneuver: Every hour they read a one-page statement denouncing Pacifica and calling for the rehire of Sawaya and another host. Chadwick, to everyone’s amazement, shut down KPFA in Berkeley, had the staff removed by armed guards, cut the live transmitter feed and replaced it with archived shows from Pacifica. The first substituted content was Bus Riders Union founder Eric Mann giving a Marxist analysis of the 1960s. Protests erupted. No fewer than three lawsuits were filed against the Pacifica board. Ten thousand people marched in Berkeley. 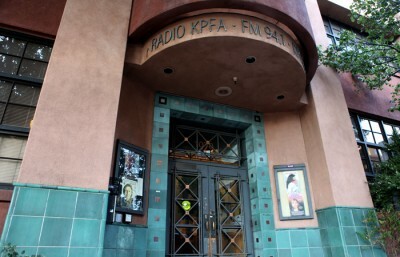 Left-wing activists and commentators nationwide, including Howard Zinn, Noam Chomsky and Michael Moore, rushed to KPFA’s defense. Websites sprang up like wildflowers — Save Pacifica, Save KPFA — three or four at some stations. The just-emerging Internet helped dissidents organize and raise money. 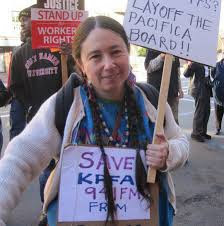 They hired a campaign consultant, started a boycott that urged listeners to not pledge money to Pacifica — a threat to the network’s very survival — and demanded that the board resign, to be replaced by a democratically elected board. The rebels now had control of an organization mired in chaos and millions of dollars in debt, much of it to lawyers. Bills would pile up higher as the new guard purged many old managers, who had to be given sizable settlements (according to one source, the KPFK general manager’s severance amounted to several hundred thousand dollars). Within a few months, Democracy Now! was privatized. In what may have been a reward for Goodman’s support of the revolution, she was handed complete ownership of the show. For free. In fact, they paid her to take it, handing Goodman a contract worth hundreds of thousands of dollars a year — and gave her an automatic 4 percent raise every year, regardless of the size of her listenership or the money she raised. Today, Pacifica’s debts amount to roughly $3 million; $2 million of that is owed to Democracy Now!, which is also the name of an independent nonprofit run by Goodman. Today, Democracy Now! 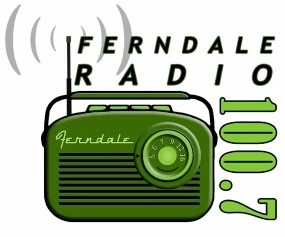 is a worldwide brand; it has far more listeners via podcasting and syndication than Pacifica itself, which no longer produces any regular national programming. Goodman may be Pacifica’s biggest creditor, but she’s far from the only drain on its finances. Board elections cost somewhere in the neighborhood of $200,000 — no small price for a network with a $13 million annual budget. The meetings themselves cost about $20,000 each to fly in 20-plus people and put them up for the weekend, and they’re dominated by bickering. Members regularly invoke Robert’s Rules of Order, and can take half an hour simply to approve the minutes of a previous meeting. 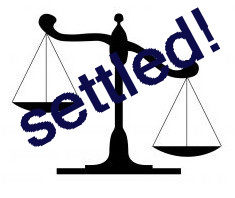 The station’s legal bills are prodigious. According to former board member Tracy Rosenberg, so many wrongful-termination claims have been filed against Pacifica over the last two decades that it pays $250,000 a year to insure against them, a staggering amount for an entity with just 130 employees. 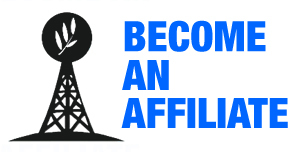 And then there’s WBAI, whose transmitter sits high atop the Empire State Building’s spire, at a cost of $50,000 a month. 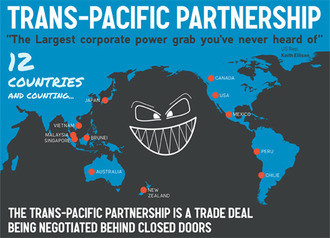 Yet opportunities abound for Pacifica, probably the single most valuable asset the left has. Its five broadcasting licenses alone could be worth $50 million to $100 million, according to Lasar, and it owns a studio in Berkeley and another on an increasingly pricey stretch of Cahuenga Boulevard in Studio City. 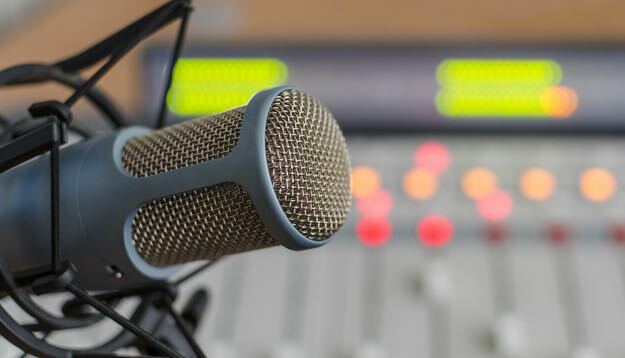 WBAI’s license is said to be particularly valuable, since it sits smack dab in the center of the dial at 99.5 FM — choice real estate in the radio industry. Perhaps the most ominous hurdle lies with Pacifica’s listenership: It’s old. Pacifica is still far to the left of anything else in mass media, and still gives voice to beliefs and ideas found outside the mainstream. It hasn’t changed; the world has. Decades ago, the left called for Lyndon Johnson’s head. It was against Nixon, but also against Hubert Humphrey. Today, those to the left of the Democratic Party have been relegated to the fringes — or perhaps they’ve relegated themselves, favoring new-age beliefs over science, seemingly invested in the idea that society is as bad off as it’s ever been. Pacifica is only a reflection of that shift. It’s still far to the left of anything else in mass media, and still gives voice to beliefs and ideas found outside the mainstream (way outside). That core ideology hasn’t changed; America has. This is a speech given by Phyllis Bennis last night (9/29) on her new book Understanding ISIS and The New Global War on Terror. Bennis is a career journalist who has been active in the Middle East since the 1970s and who covered the United Nations in the 1980s. 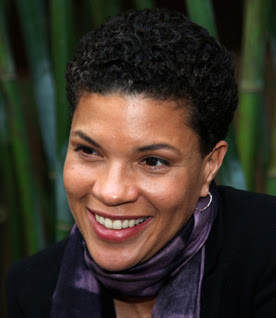 In 1987, she witnessed the First Intifada and began to take a serious interest in pro-Palestinian advocacy. …In 1999, Bennis accompanied a group of congressional aides to Iraq, examining the impact of U.S.-led economic sanctions on humanitarian conditions there…. Ending the US War in Afghanistan: A Primer (2010). He was a staff member early at KPFA. He now runs the archive of Alan Watts, but has a long storied history with avant garde music, world music, music production. This is a reposting from an article in www.la.indymedia that was in response to allegations and accusations made by another author who chose to remain anonymous – while freely making declarations against both the PNB, specific staff and board members, and named individuals who may need to realize their names are thus used. As is typical of anonymous Indymedia acticles about Pacifica, the piece “Pacifica’s Current Board Structure is Destroying the Network” is biased, presenting misinformation as fact to manipulate opinion. Such articles reflecting a narrow ideological interpretation of historical events commonly appear in the middle of each Pacifica delegate election period. This refutation attempts to balance those distortions with accuracy.